How to use social media to find more customers? The average cost per click of Facebook Ads is 30¢ for all business objectives. Whether you seek to raise awareness, increase traffic or drive more customers to your business, it only takes a spark to get your social fire going. Why Are People Still Skeptical About Using Facebook Marketing? Facebook is the new 800 pound Gorilla. It drives the largest share of social media traffic to businesses. Facebook offers a deeper engagement between businesses and their fans. Nearly 50% of Americans say Facebook is their biggest influencer on buying decisions. How Does Facebook Marketing Drive Results For My Business? Producing leads. Using Facebook marketing tools businesses can target ads to specific groups based on similar interests and demographics. Uncovering NEW target markets. You can now target by job titles, employers, even life events. Finding new opportunities outside your current networks. Building custom audiences with characteristics similar to your current customers. Find more customers running Facebook Marketing Campaigns. 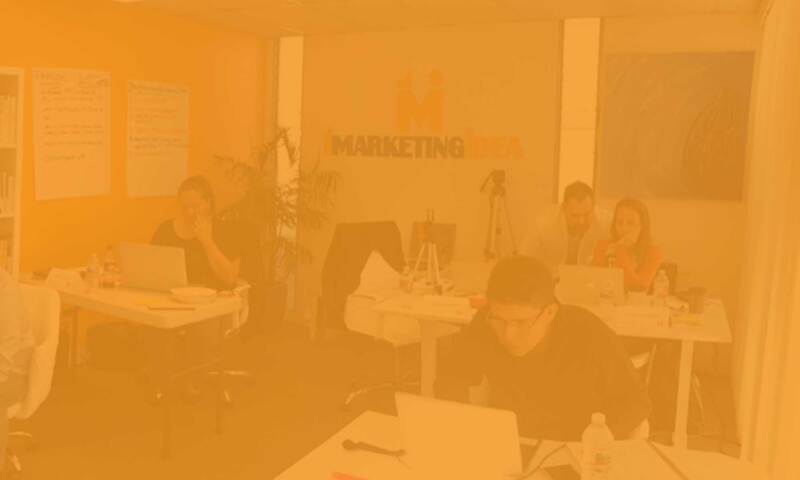 1marketingidea, a San Diego digital marketing agency, brings you this one of a kind, golden opportunity, to connect with more customers. We are a passionate marketing team, that has come up with a 6 Point Formula to promoting your services effectively. Including Facebook in your marketing strategy will give you access to new audiences, and improve the way you build relationships and deliver customer experience. Ignoring Facebook marketing is like sticking with radio when TV came out. We categorize our Facebook marketing strategies into three types: awareness, consideration, conversion, and experience. Facebook Page Creation and Optimization. Like your website, your Facebook Page needs to be optimized so visitors get a clear mental picture of what your company does. How can prospects reach you, and what is your competitive advantage. We’ll coach you on how to organize your tabs, upload the right header and profile images and videos, get reviews, and organize your links. Preparing a strategy – 1 Hour Call. Every company has a different objective depending on what’s upcoming on their event calendar. We will help you define the objective for your campaign, plan the activities that need to happen, identify the perfect customer, create timelines, decide on a budget, find out where your clients are and their interests. We will help you design and test creative and videos. Help you write your message, special offers, headlines, and set up the right call-to-actions. * Awareness – Is it branding campaign? Casting the broadest net? * Consideration – Are you looking to interest people in your offer? Maybe having them sign up for a newsletter? * Conversion – Are you setting up a landing page where they can buy sign up for an event? In this phase we target audiences, set up a run schedule, decide where the ads will go (ex: Mobile). This step is critical so we are comfortable there are no mistakes and all ads are approved and running. Social media platforms are always changing and we want to make sure that in the subsequent 24hours nothing has slipped through the cracks. Measure and improve your ROI – 1 Hour Call. We strive for progress, not perfection. A 1 month campaign will help you identify everything we discussed on this page. This is what we measure against. We strive to hit our objectives, and to measure how this initiative impacts your overall marketing ROI. For best results we recommend using a minimum media budget of $500-$1000 a month. *Six month engagements. Payable in 2 parts. 50% upfront.